For non urgent medical advice call 111. Use the 999 ambulance service for all life threatening emergencies. We are now staffed with 2 male GP's and 1 Female GP's. All our GP's are part-time and while they are mostly in surgery on the same days of each week, this will be subject to change because of annual leave and sickness cover. 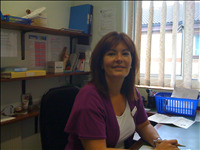 BA MB BCh BAO MRCGP MBA (Open) Joined the practice in 1988, becoming the senior GP in 2007. He is registered for family planning, maternity services, child health and surveillance services and minor surgery. B.Med Sci, BM BS, DRCOG, DCH MRCGP DFSRH Joined the practice in 2007, becoming a partner in 2009. She is registered for family planning, maternity, child health and surveillance services and minor surgery. Dr O'Leary has surgeries on Monday, Tuesday and Thursday morning and afternoon. Dr Oo ( MB BS Dffp FRCS) joined us in October 2012 bringing a lot of experience as a GP. He is interested in minor surgery. He has surgeries on Monday, Tuesday, Thursday and Friday mornings and afternoons. Joined us in 2010. Dawn is the Lead for Asthma/COPD Management and is a Nurse Prescriber and has the title of Clinical Director - Nursing services. The receptionists are your link with the rest of the practice. 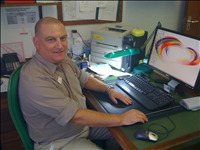 We have a friendly, professional and efficient team who will try in every way to help you. The more information that you are able to give them the better they will be able to assist you.